While stews and dahls are an easy route to dinner for a dime, there are other tactics to embracing your inner spend-thrift whilst avoiding anything too worthy. 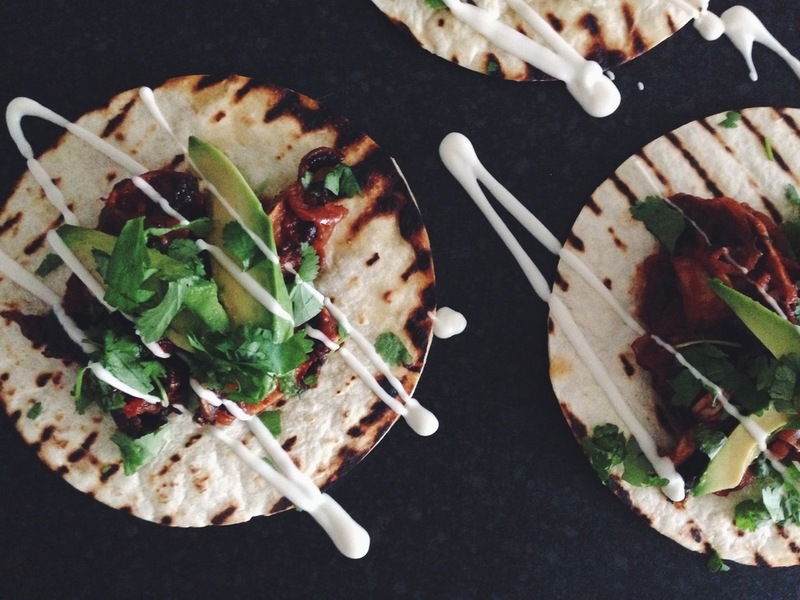 Mexican food is ideal for this, with moreish flavours and heat that stays on your palette. These chipotle mushroom and tomato tacos are just what I’m talking about: full of flavour but mighty cheap per head; by investing in the mushroom filling, these tacos make a little go a helluva long way. 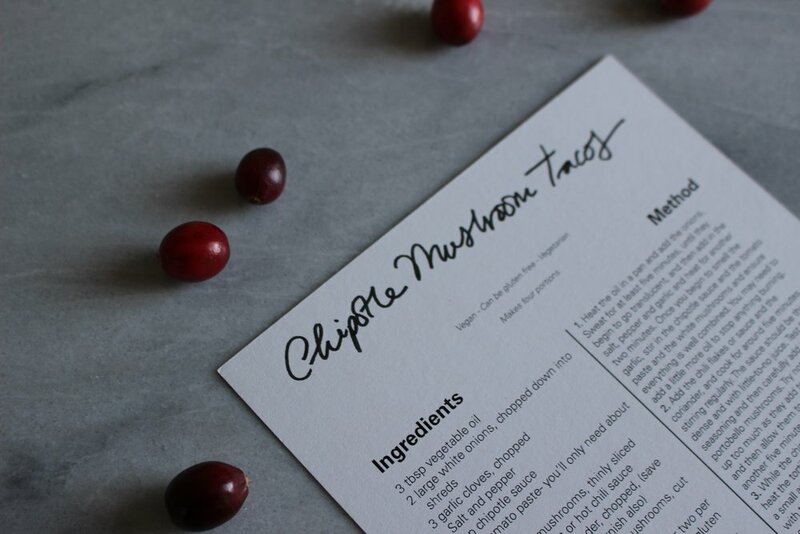 Limited edition recipe card for Guac and Roll's Chipotle Mushroom Tacos- an old school Guac favourite that's easy to make on a budget but still packs a punch with flavour. Vegan and vegetarian recipe with a meaty texture that will also go down a treat with meat-eaters. On double sided card with illustration by Naomi Elliott on the reverse. Printed on 100% recycled 300gsm A5 card from independent printers Footprint Collective, based in Leeds, United Kingdom.